November was my most exhausting month by far. 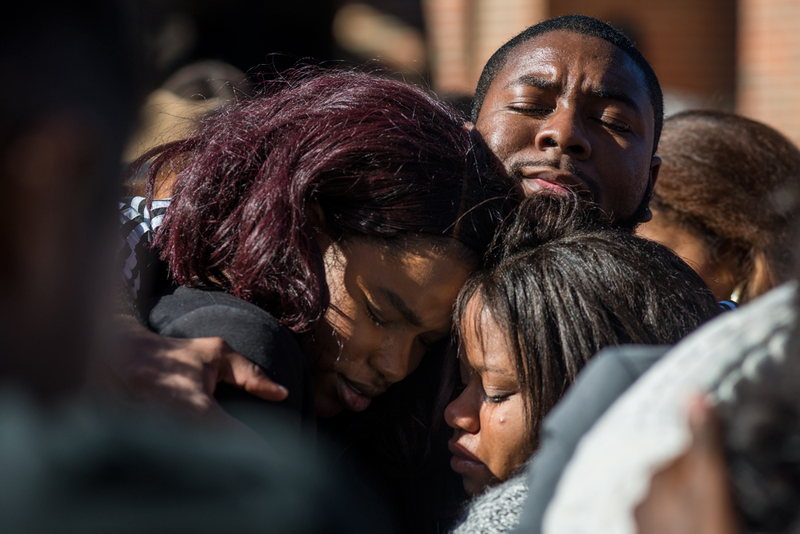 Mizzou became national news after graduate student Jonathan Butler went on a hunger strike. I spent every hour I could that week, trying to document things as they progressed. I worked every day straight for about 12 days, spending approximately 10 hours a day documenting this. I got Jonathan's permission to document him throughout the process, though as media attention grew and the group struggled to keep up with the rising demands on them, he withdrew from the public eye and I lost my access. After that, I stuck with the group, having to gain trust from new people every day. 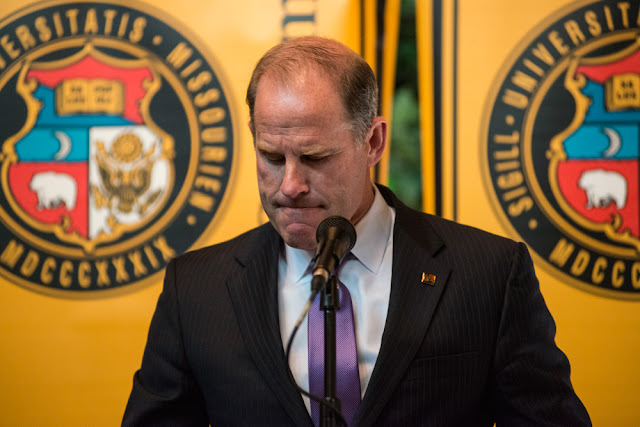 I traveled to KC on a second's notice with protestors and they went to protest a fundraiser UM President Tim Wolfe was attending. 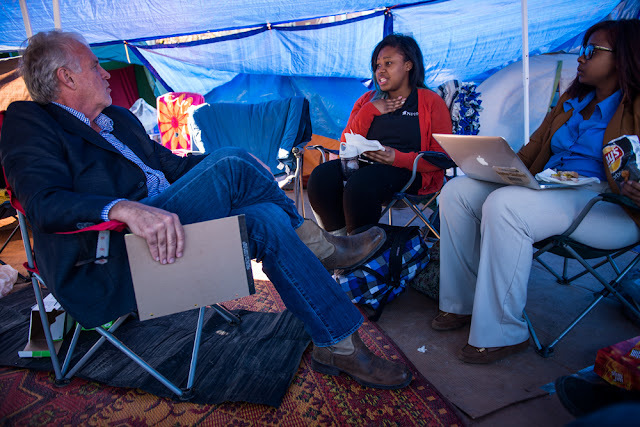 I spent hours sitting in the tent camp. I explained myself and what I was doing over and over and over. 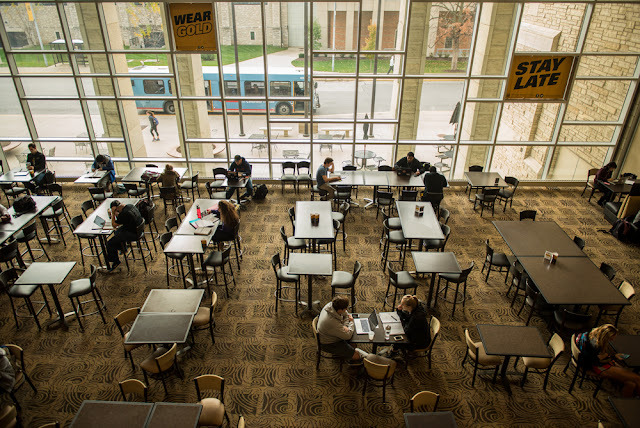 I was berated by an irate faculty member at the end of the week who I hadn't seen around before, a woman who wouldn't give me a moment to explain myself, yelling over everything I said. 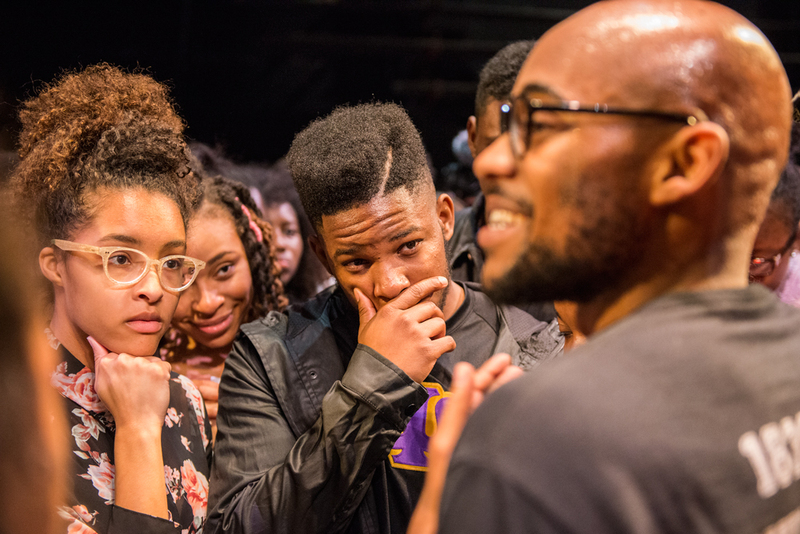 The two students present, and a board of curators member, all apologized later for that person's actions. I've never been as emotionally taxed and physically worn down as I was during this coverage. It was hard to be silent and constantly in the middle of everything, fighting to not be labeled as "the MEDIA" and to be dealing with all the chaos as a student as well. Rome was burning and it was hard to know what to do. It hurt on a lot of levels, but it taught me so much and made me grow in so many ways. I'll never forget that week. If you want to see my edit of the story, it's available HERE on my website. You can also see my work from this on TIME's Lightbox along with a couple of my friends. There was some other work I did that month, but this was the bulk of my focus and I was given free reign on it due to the access I had obtained. There's some other shots in here too. Thanks for reading and taking the time to look. 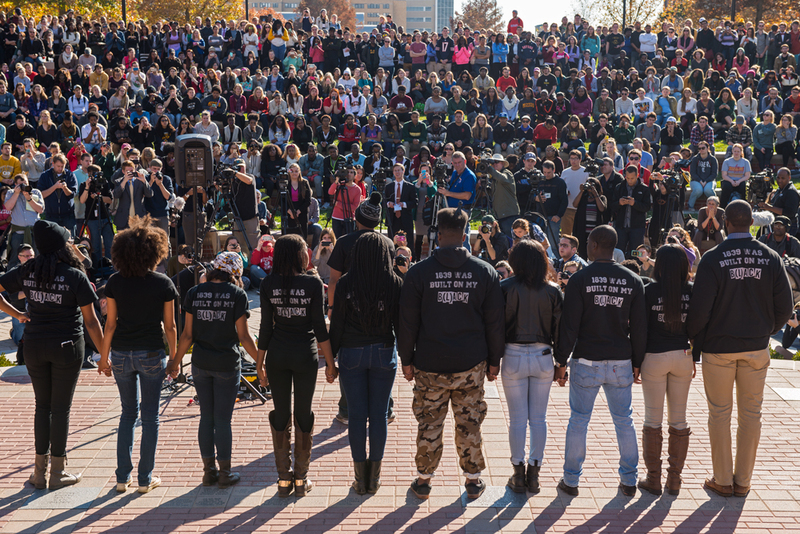 MU doctoral student Reuben Faloughi, center, yells through a megaphone during a walkout at Memorial Union on Thursday. Protestors marched through MU buildings that "make money" for the university, including Memorial Union and the MU Student Center. 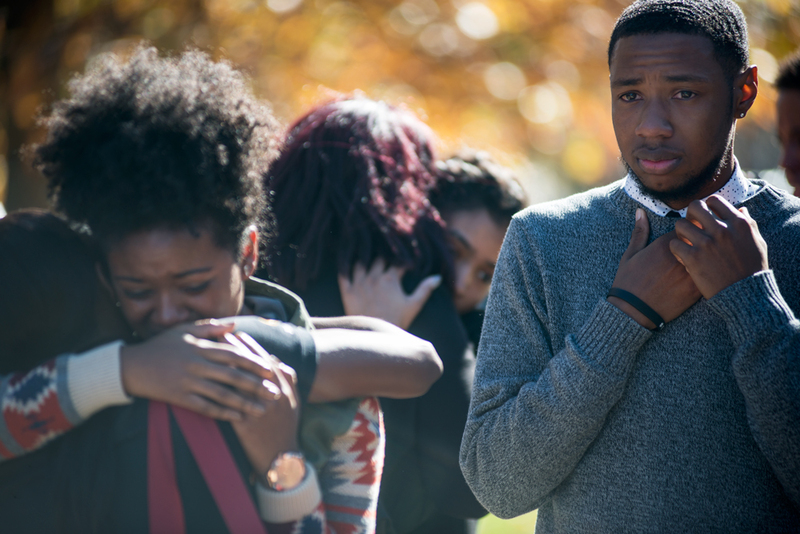 Members of MU's Legion of Black Collegians and Concerned Student 1950 supporters cry and hug during an emotional part of a protest on Saturday, November 7, 2015. 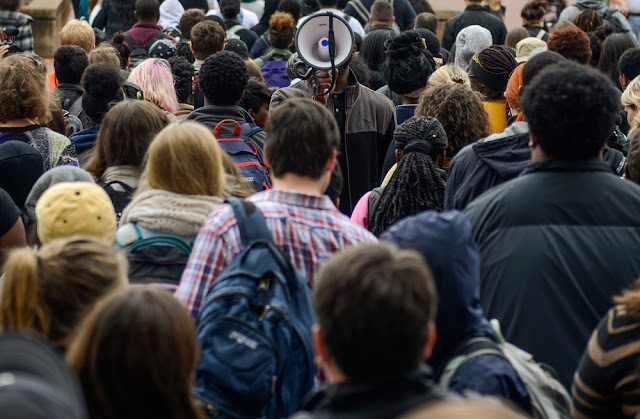 The students voiced their concerns and told stories of racism on campus at each location. A student tells University of Missouri Board of Curators member David L. Steelman that she feels less safe on campus than she does back in Chicago during Steelman's brief visit to the Concerned Student 1950 tent camp. The Concerned Student 1950 tent camp continues to grow as a spotlight from a KPLR 11 news van shines a spotlight on the camp. 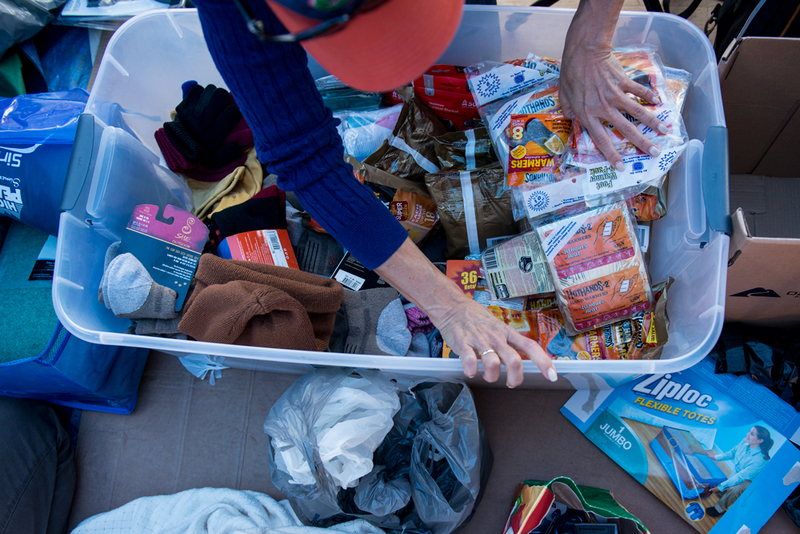 A group of mothers came to the tent camp to help organize and cleanup the place mid-way through the week. 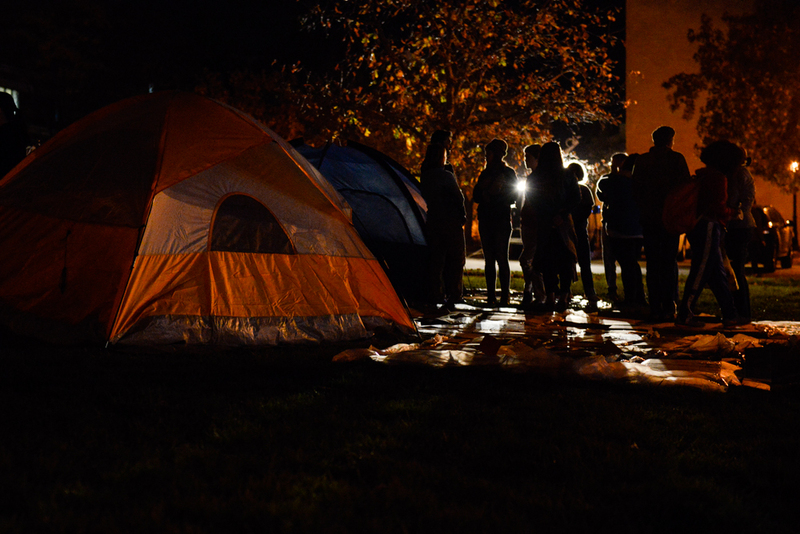 There was a constant influx of donations from various people around Columbia, bringing food, water, blankets, tarps and other things to help out the students camping out on Mel Carnahan Quadrangle. 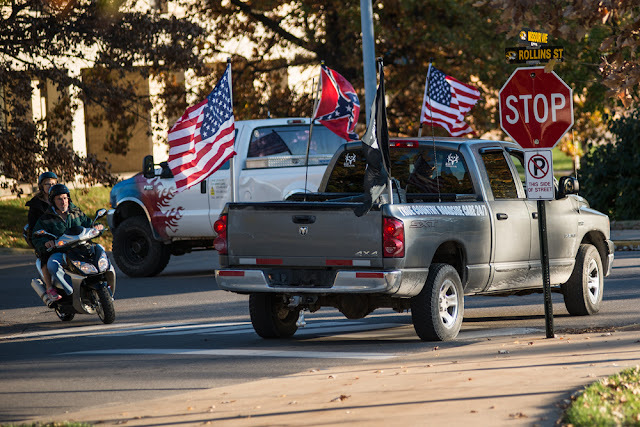 Two trucks bearing the label "True Country Roadside Care" fly a Confederate flag, two United States flags and a POW/MIA flag as they speed by the Concerned Student 1950 campsite on the Mel Carnahan Quadrangle on Sunday evening. The trucks drove by once without stopping. 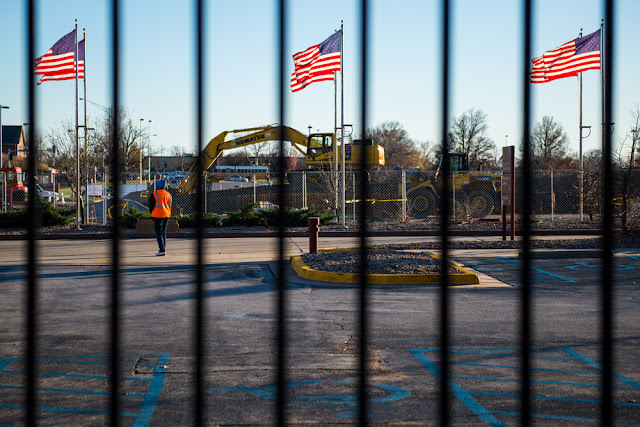 The drivers, 21 and 22-years-old, who asked not to be identified, said they were unaware of the protests happening on campus and were out enjoying the weather. They said the Confederate flag represented rebellion to them. 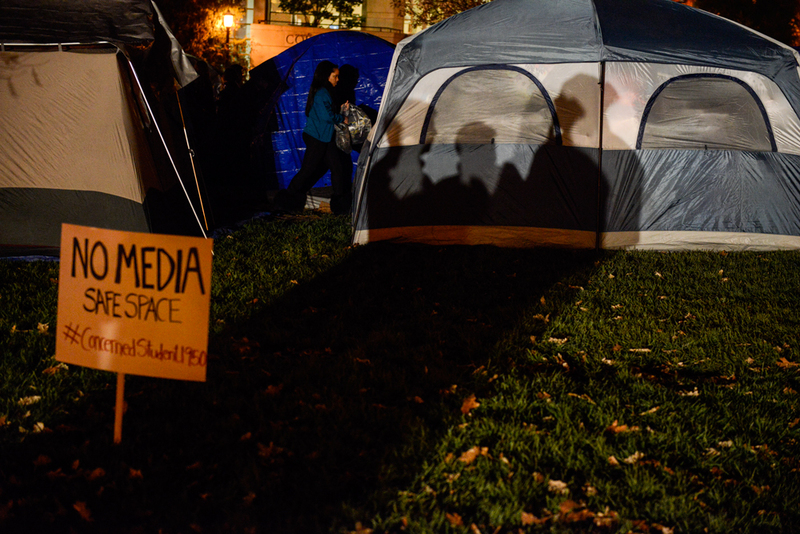 A person walks by the Concerned Student 1950 tent camp Sunday evening. 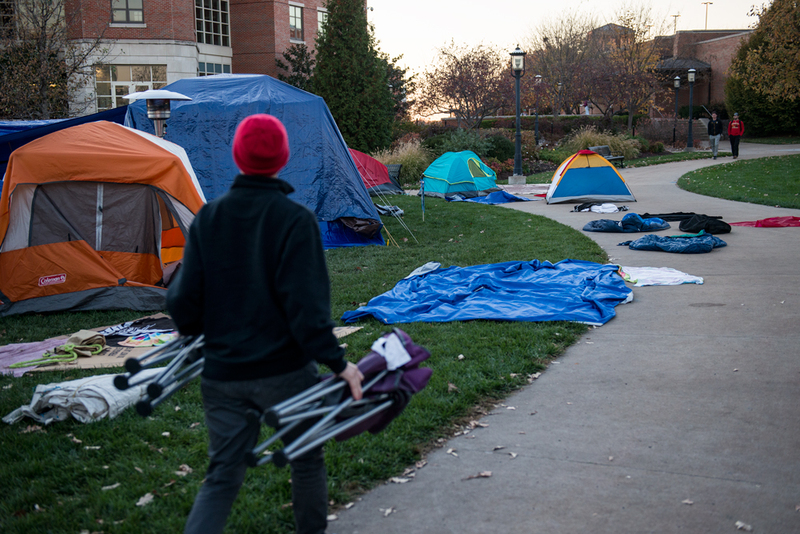 The camp almost doubled in size the day after the Missouri football team backed the group's boycott. Players on Saturday night vowed not to play another game until UM System President Tim Wolfe resigned. A statement from coach Gary Pinkel said the team would not practice until Jonathan Butler ends his hunger strike. 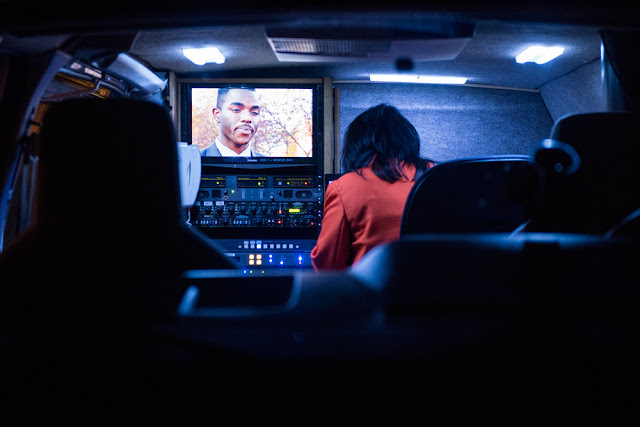 Kelley Hoskin of KPLR 11 in St. Louis edits a video in the back of her news van of student body president Payton Head discussing the racial climate on campus from earlier in the day. Head was previously called the N-word while walking through Greek Town with his boyfriend. People gather for a prayer circle next to the tent camp. 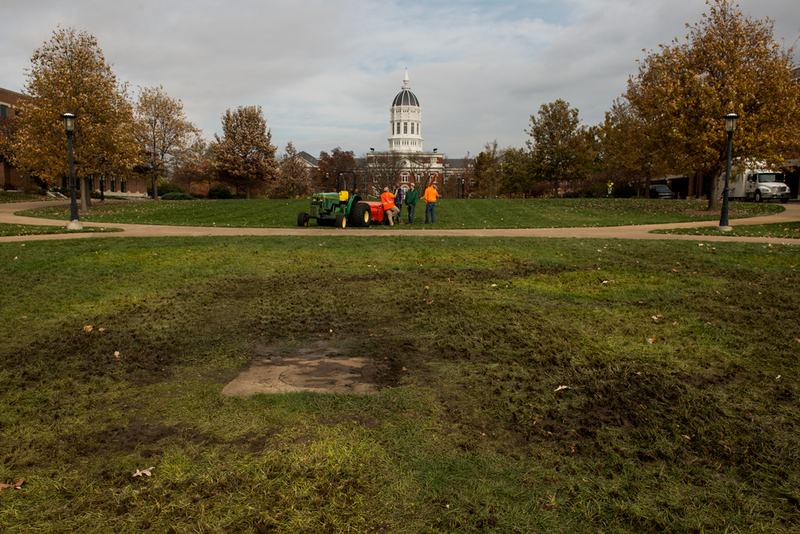 The circles, which occurred every night at 10 p.m., grew in size each time. 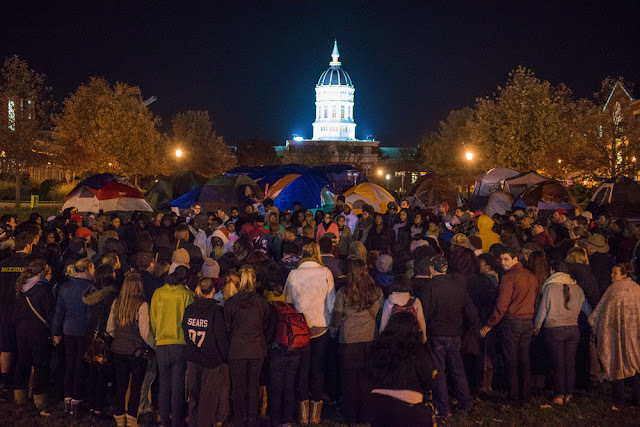 This was the final prayer circle, held the night before UM President Tim Wolfe resigned. 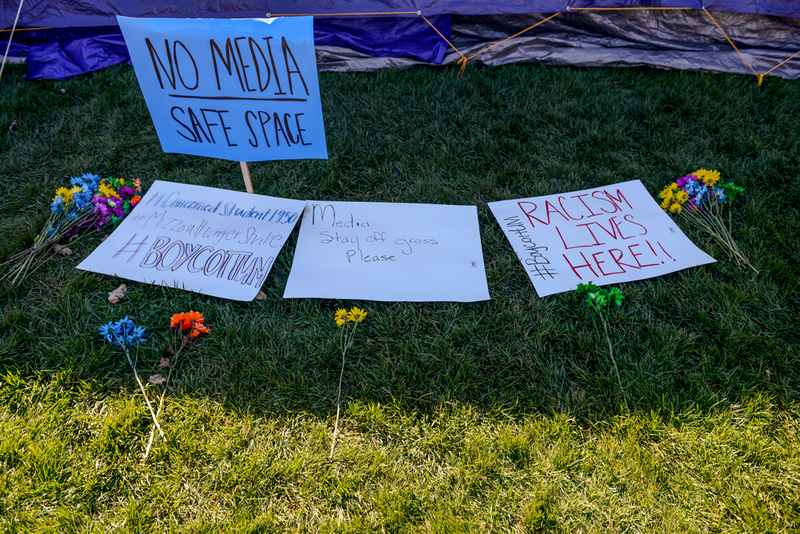 Students link arms to keep media out of their "safe space" as photojournalist Tim Tai argues his right to be there documenting the event after UM President Tim Wolfe resigned. Professor Melissa Click patrols the edge of the "safe space" where students have linked arms to keep media away from the Concerned Student tent camp. Click would later be remembered for a viral video showing her infringing on the media's right to be there and her confrontation with student photojournalist Tim Tai. 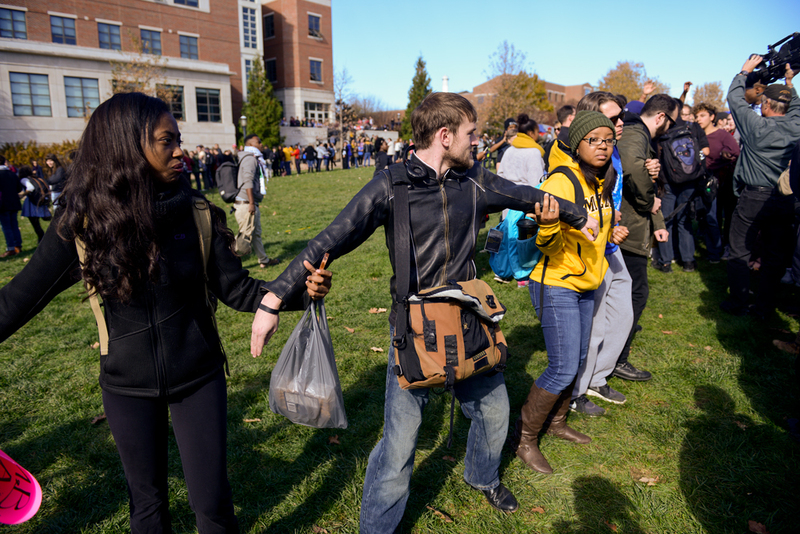 Tim Wolfe announces his resignation Nov. 9 after escalating events involving protesters. Wolfe's resignation brought the end of Jonathan Butler's hunger strike and Concerned Student 1950's camp out in Mel Carnahan Quadrangle. 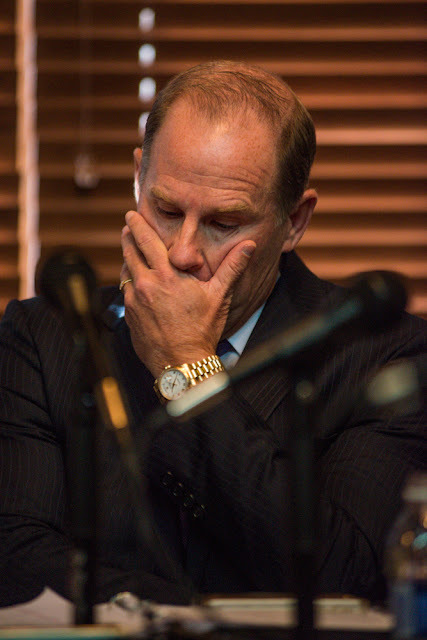 Tim Wolfe reacts after announcing his resignation Nov. 9 after escalating events involving protesters. Wolfe's resignation brought the end of Jonathan Butler's hunger strike and Concerned Student 1950's camp out in Mel Carnahan Quadrangle. The original 11 members of Concerned Student 1950 hold a press conference Nov. 9 after the resignation of UM System President Tim Wolfe. 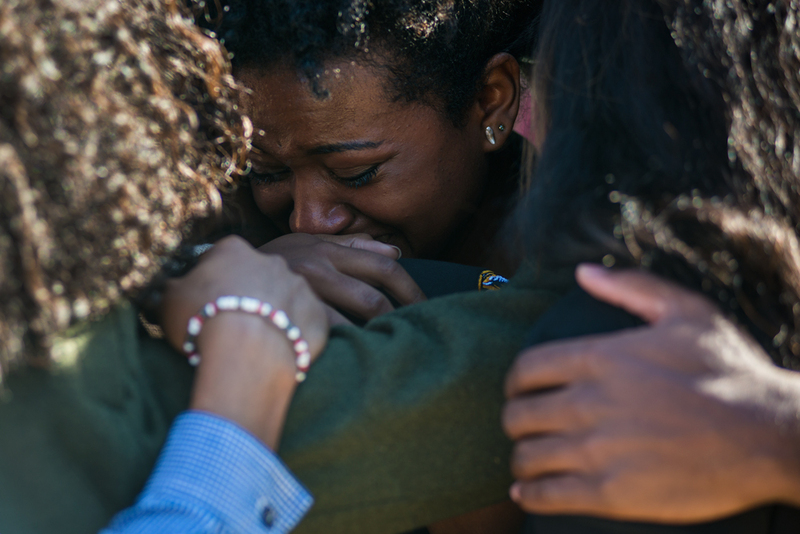 The group named themselves after year the first African-American student who was admitted to the university in 1950. Groundskeepers talk for a moment after repairing the ground on Mel Carnahan Quadrangle where the Concerned Student 1950 tent camp rested for a week. 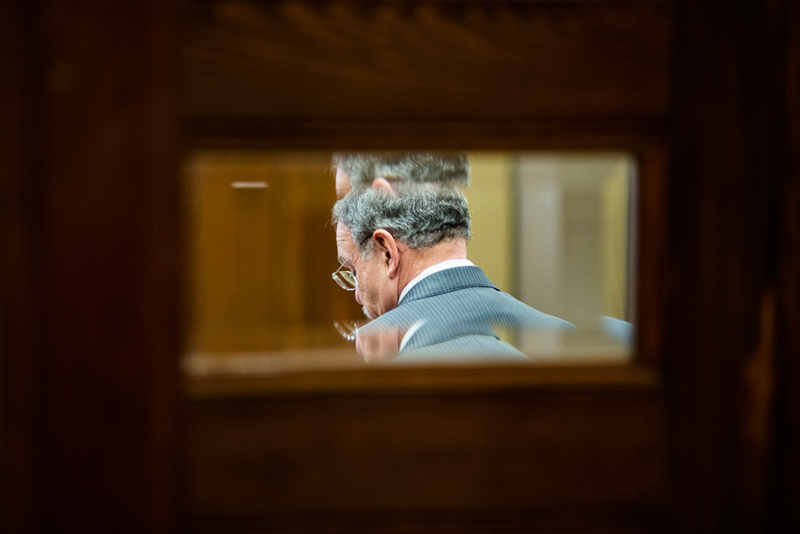 Chancellor R . Bowen Loftin stands inside the main doors of his office in Jesse Hall Wednesday, Nov. 11, 2015.Mizzou's campus had been a mess since Monday when both the UM System President Tim Wolfe and the Chancellor announced their resignations from their positions with the president's taking effect immediately. Loftin will transfer to another position within MU Jan. 1, 2016. Interim UM System President Michael Middleton speaks at his introductory news conference Thursday at University Hall. 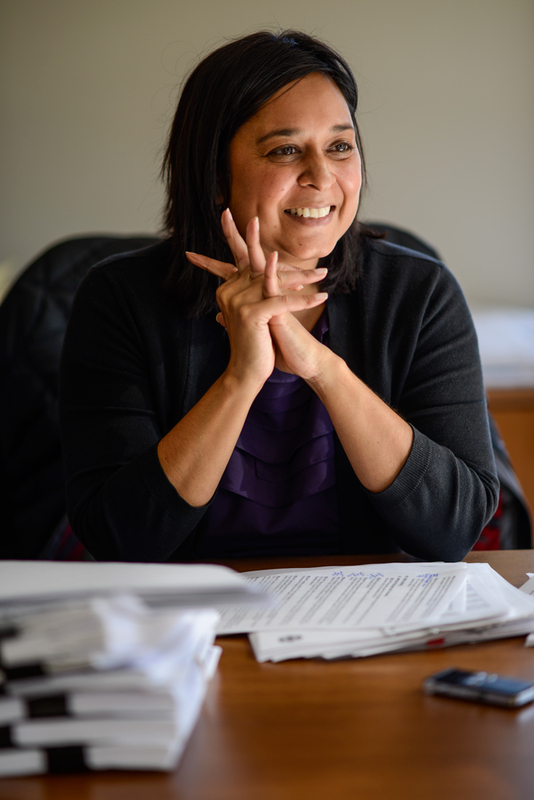 Middleton was the first black professor in the MU School of Law. 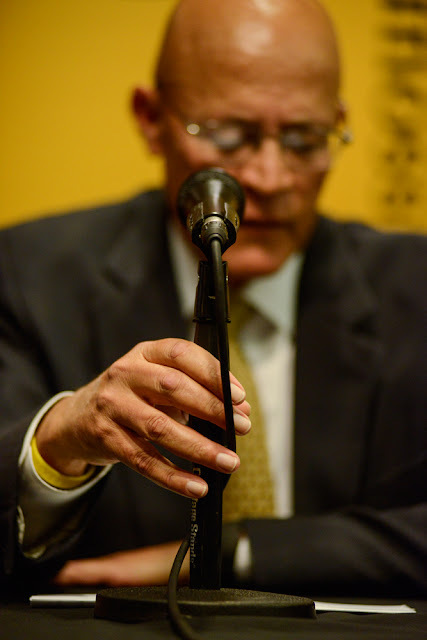 More recently, he served as deputy chancellor until his retirement on Aug. 31. Alexandria Owens dances to music on the stage inside the Jesse Hall auditorium Friday, Nov. 13, 2015 in Columbia, Mo. The "We're Not Afraid March" led the group through greek town before making its way to the auditorium in Jesse Hall where people spoke about the power students have to create change before dancing to music on the stage. People listen to Jonathan Butler as he speaks at the end of a march in the auditorium inside of Jesse Hall in Columbia, Mo. Friday, Nov. 13, 2015. 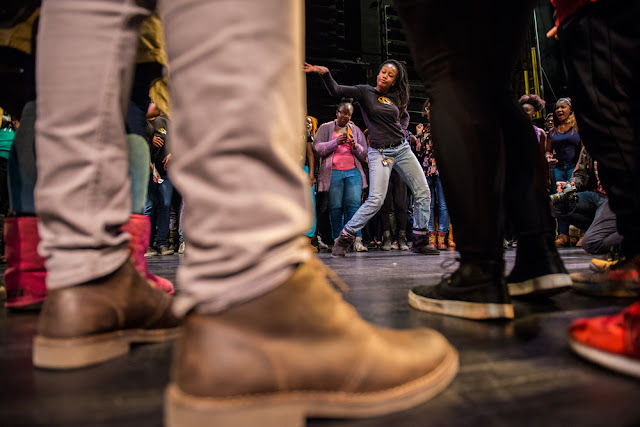 The "We're Not Afraid March" led the group through greek town before making its way to the auditorium in Jesse Hall where people spoke about the power students have to create change before dancing to music on the stage. 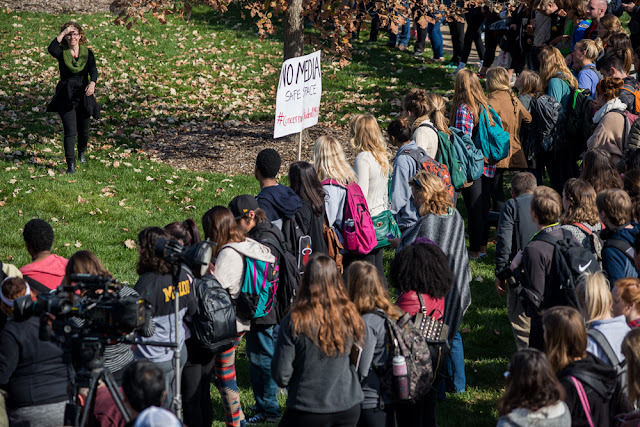 People march through greek town on MU's campus with the Concerned Student 1950 group from the Gaines/Oldham Black Culture Center to the auditorium inside of Jesse Hall in Columbia, Mo. Nov. 13, 2015. 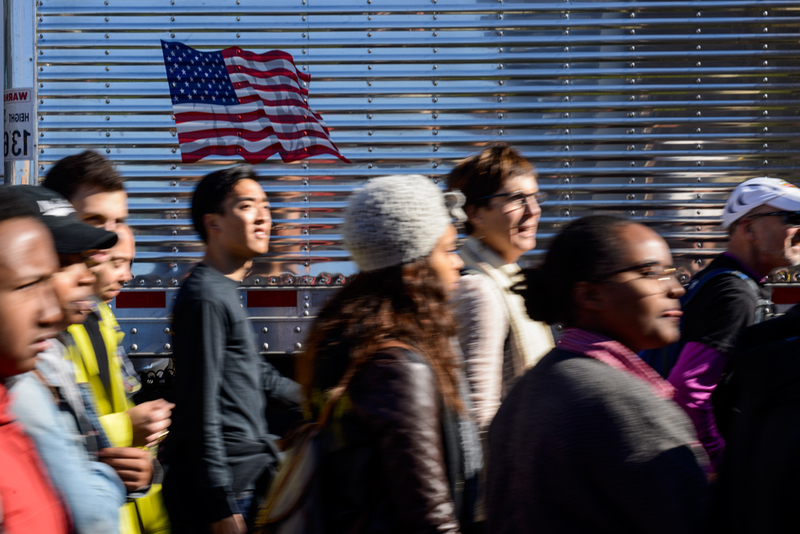 The "We're Not Afraid March" led the group through greek town before making its way to the auditorium in Jesse Hall where people spoke about the power students have to create change before dancing to music on the stage. 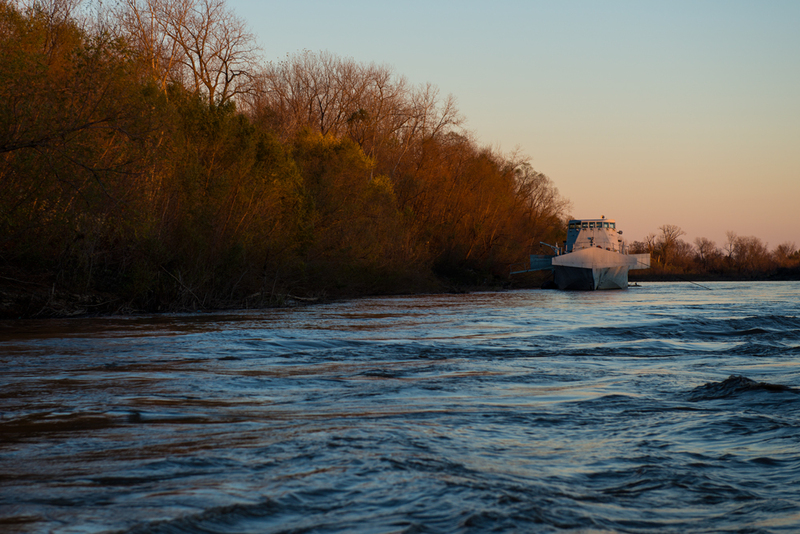 The USS Aries, a decommissioned Navy hydrofoil used to catch drug runners on the high seas, has languished on the Grand River at Brunswick for 18 years. 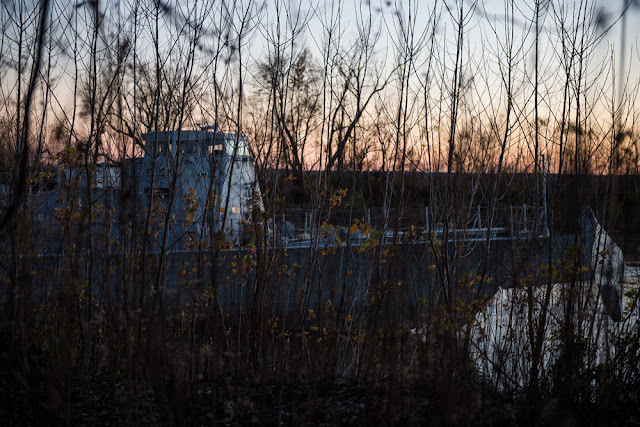 The ship has been moved to a shipyard on the Gasconade River by its owners, who aspire to make it a mobile museum. 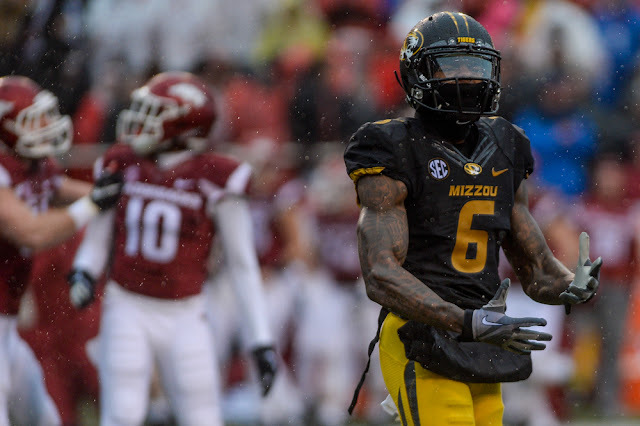 Missouri wide receiver J'Mon Moore yells after an incomplete pass Friday during the first quarter of the Tigers game against the Arkansas Razorbacks in Fayetteville, Arkansas. 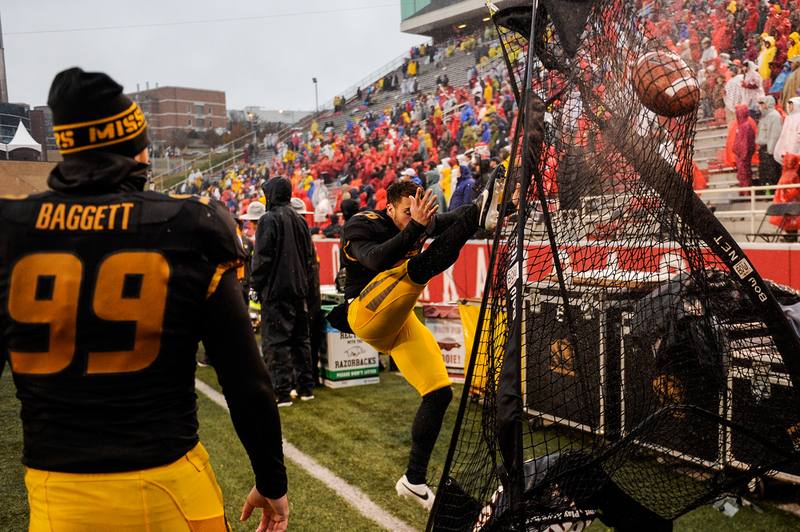 Freshman punter Corey Fatoney warms up as kicker Andrew Baggett watches during the Arkansas game. 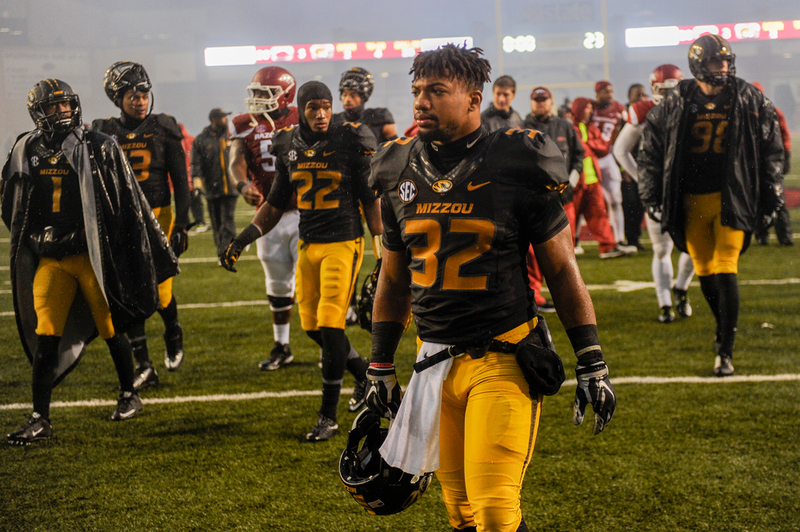 Runningback Russell Hansbrough walks of the Arkansas field after MU's 28-3 loss in their final game of the season and Gary Pinkel's final game as head coach. 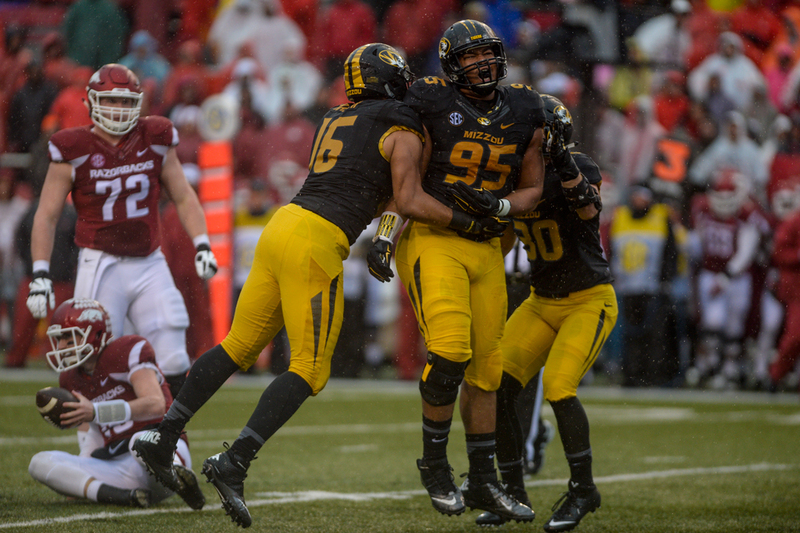 The team ended their season with a 5-7 record, being 1-7 in the SEC conference. 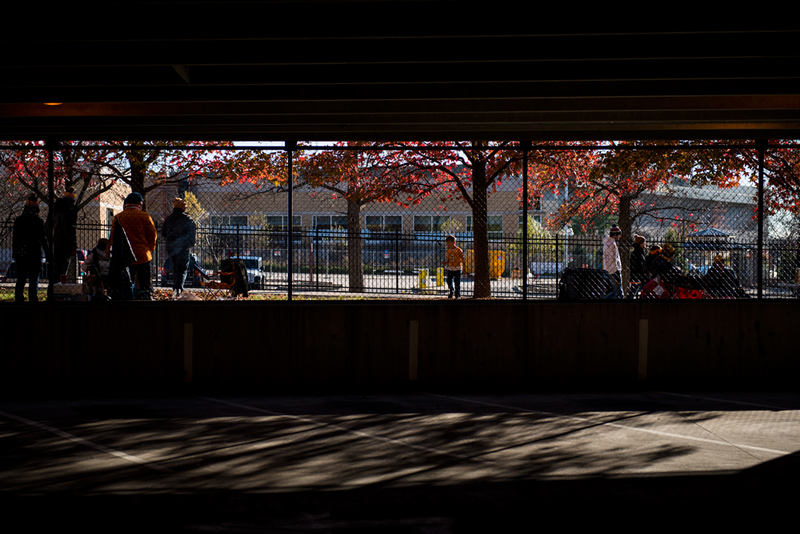 Tennessee and Missouri fans tailgate in 35-degree weather Saturday outside an entrance to the parking garage at Tiger Avenue and Hospital Drive in Columbia. Missouri football head coach Gary Pinkel will be coaching his final home game Saturday against the Tennessee Volunteers.